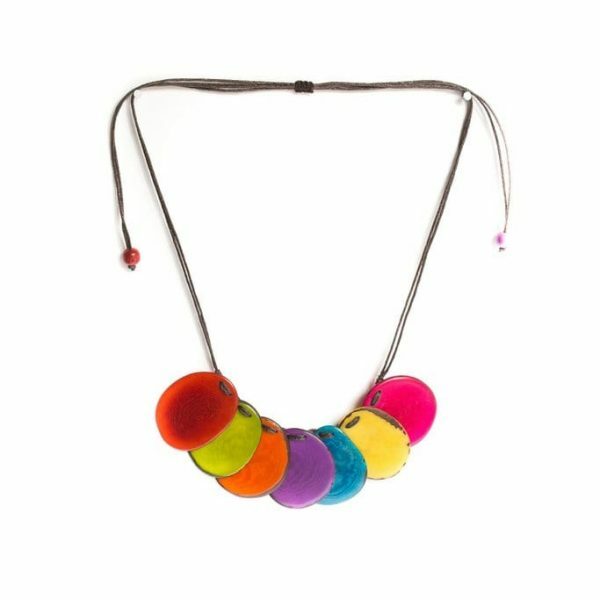 Adjustable necklace made from Tagua, a seed from the tropical rainforests of Ecuador, Colombia and Brazil. 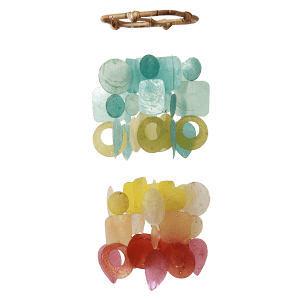 Dyed using a non-toxic biodegradable chemical called Clariant, this beautiful necklace will not fade in color. The longest length is 28”. Tagua (pronounced TOG-WAH) is a seed from a palm-like tree that grows in the tropical rainforests of Ecuador, Colombia, and Brazil. Also known as the “vegetable ivory” because of its rich ivory color and shiny texture, Tagua discourages the use of actual ivory in jewelry production. 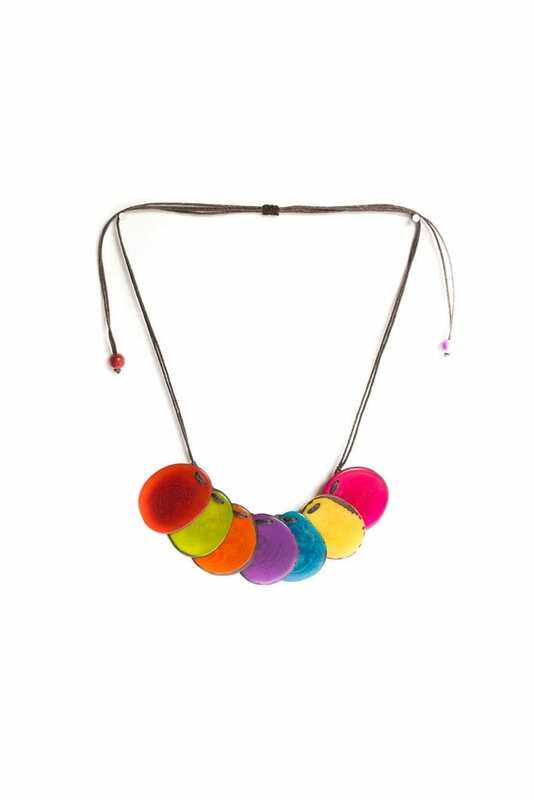 Tagua is a versatile material that has the innate ability to absorb color brightly. The Tagua is dyed in a non-toxic biodegradable chemical called Clariant. Made in a fair trade workshop in Colombia.